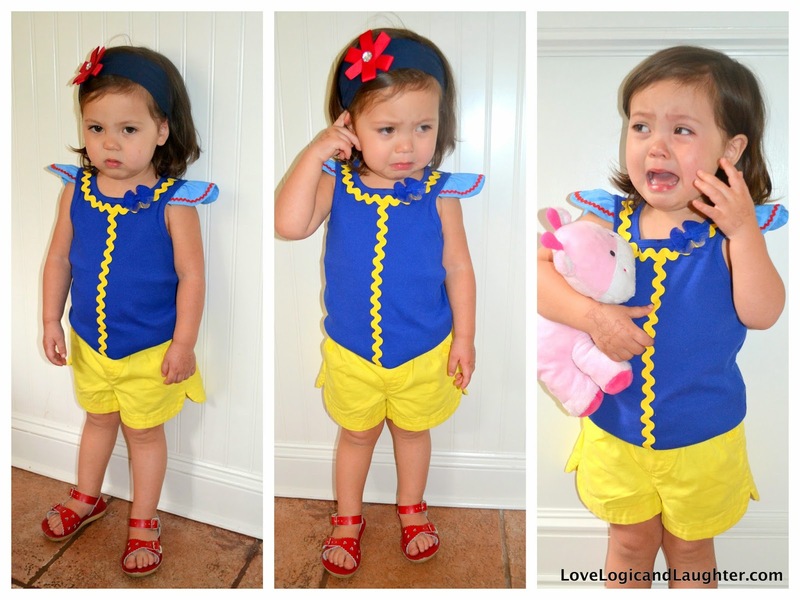 Princesses have play clothes too, right? 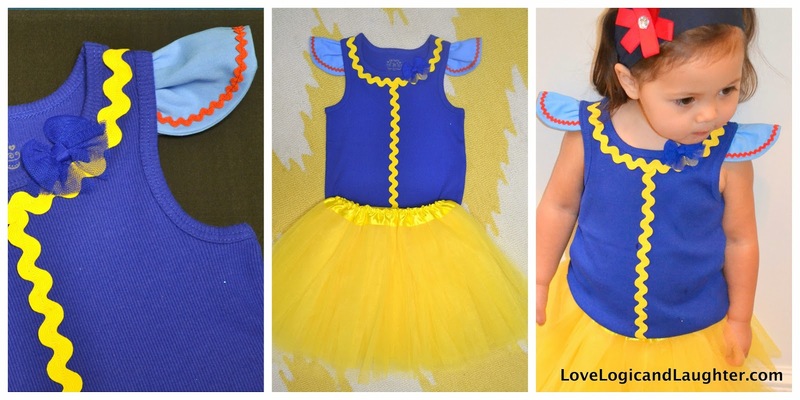 Since Eliana is completely enamored with princesses right now and requests to wear a princess dress every day I decided to make some princess play clothes for times when we are at the zoo, the playground and for our upcoming trip to Disney. This way she can still attempt to climb, run and jump (she has never been very motor motivated - she can talk your ear off, but I am usually going down the playground slides first to show her how much fun they are and that they aren't "too dangerous", as she says)! 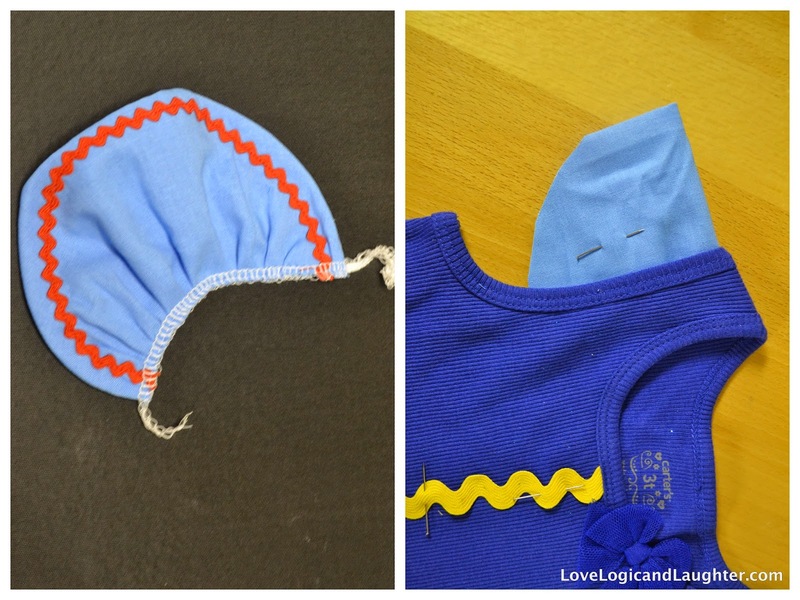 The outfit comes with mix and match bottoms. 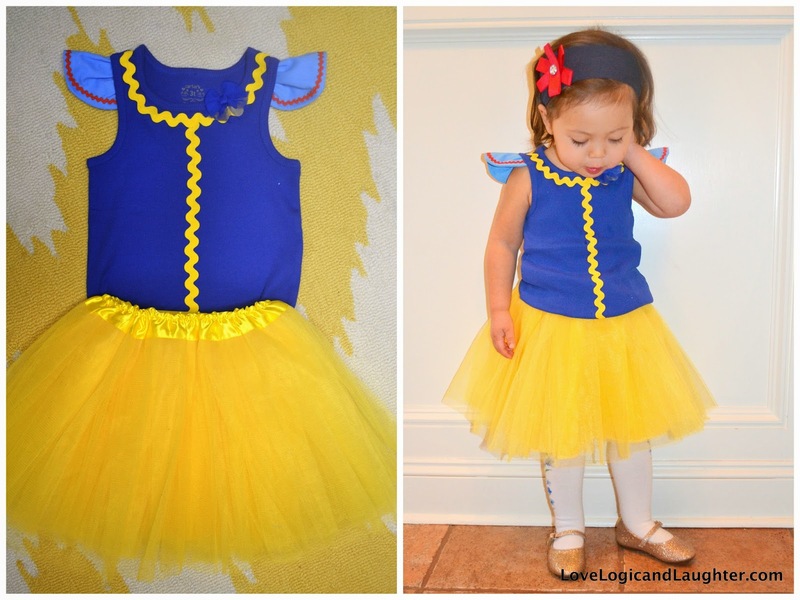 A tutu skirt (above) for when feeling more "princessey" and a pair of yellow shorts (below) for when feeling more adventurous. 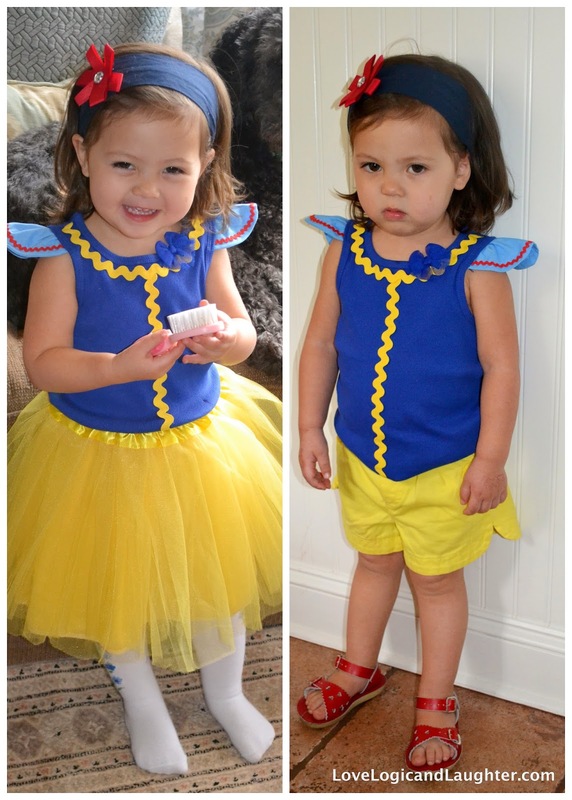 Can you guess which outfit Eliana prefers? Yep. 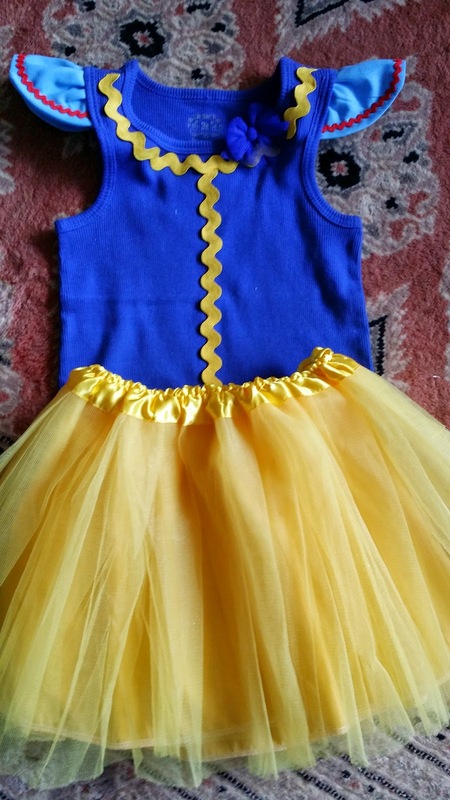 The tutu. She is ALL girl! 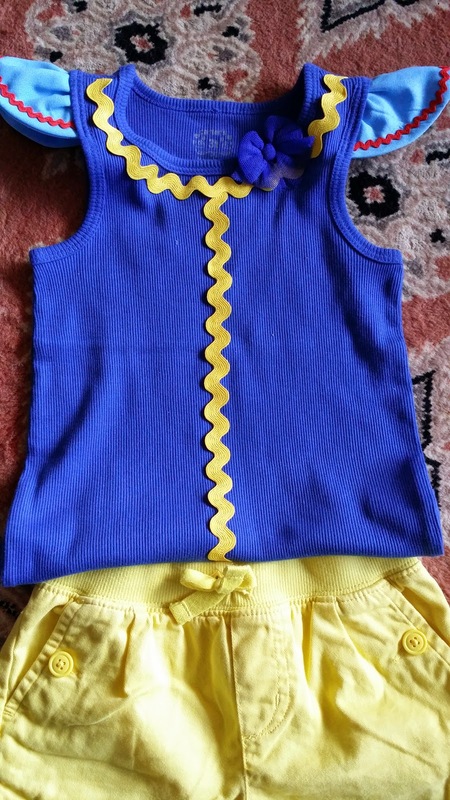 To make the shirt I started with a plain royal blue ribbed tank top made by Carter's and added yellow medium ric rac trim down the center of the shirt and around the neckline. Wallah! 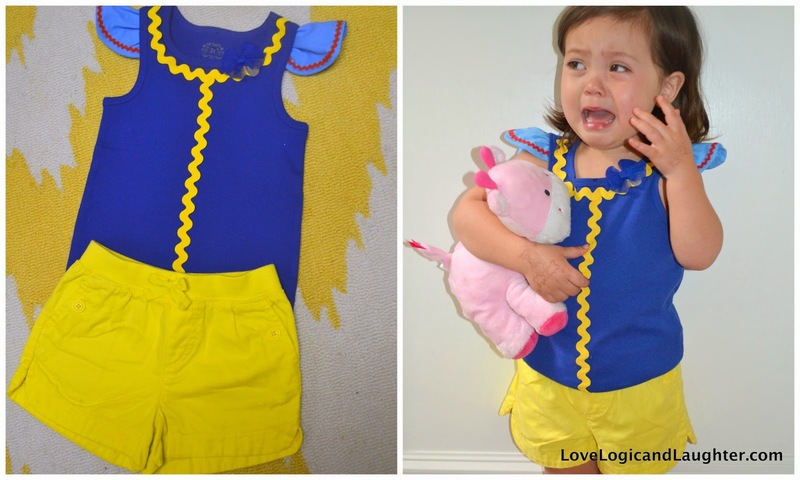 A Snow White Princess Play Shirt! 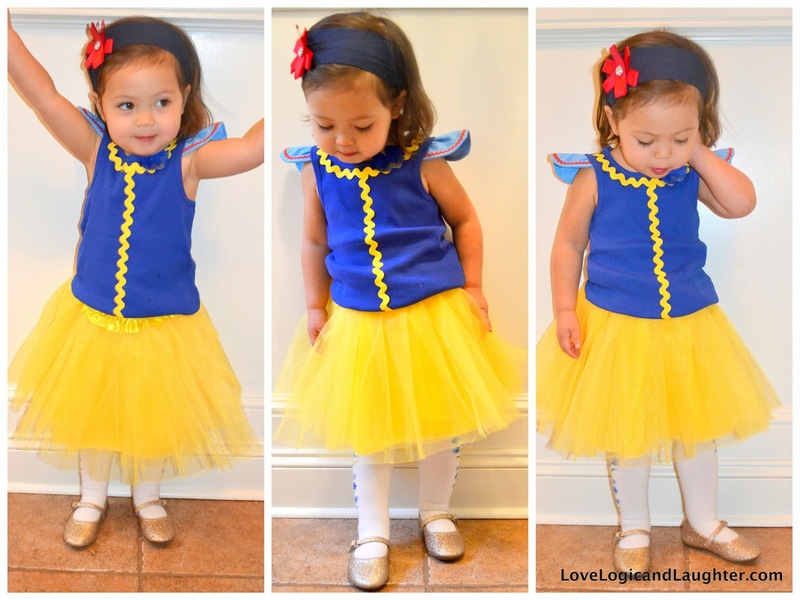 I was inspired to make this Snow White Princess Play Outfit by this post from Crafterhours.